We wrote the book on Flex comfort. With mechanical stretch yarns, you’ll have a better range of motion, keeping you moving with extreme comfort. 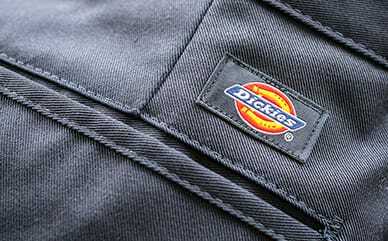 The polyester/cotton blend on Dickies’ Flex Regular Fit Straight Leg Twill Multi-Use Pocket Work Pants mean they’re durable to the core. To round it all out, they keep you dry with moisture wicking technology. Plus, they resist wrinkles and have stain release—easy care that stays durable and comfortable.